soon will be celebrated throughout America. Celebrated as never before in our lifetime. For this is the year of Victory-and Peace. for the glory so dearly bought. to reach those who have not yet rejoined us. those who will never return. to keep the great days sacred. as harvest days are over. and the presents made ready for Santa's visit. 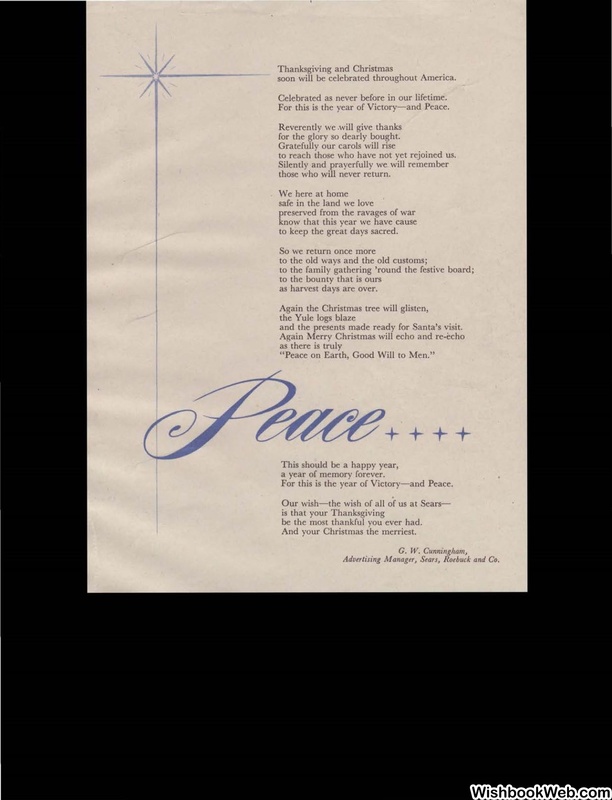 "Peace on Earth, Good Will to Men." a year of memory forever. be the most thankful you ever had. And your Christmas the merriest. Advertising Manager, Sears, Roebuck and Co.